The 2018 Auburn Elite National Qualifier was held May 24-26 in Puyallup, Washington. Here Camryn competed 2 days doing her compulsory routines first and another day competed optional routines. 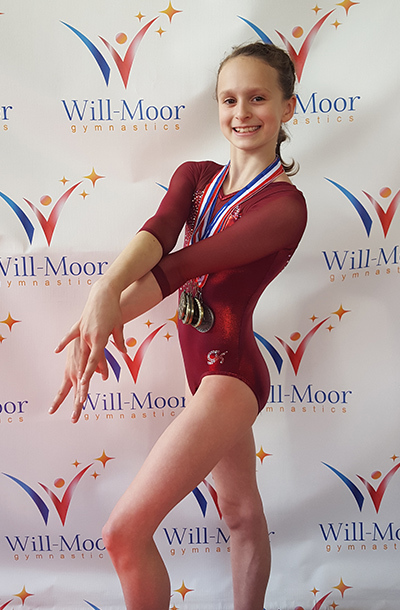 Her goal was to achieve all around totals (AA) 32.00 for compulsory & 46.00 for optional which she more than surpassed and brought home many gold medals. 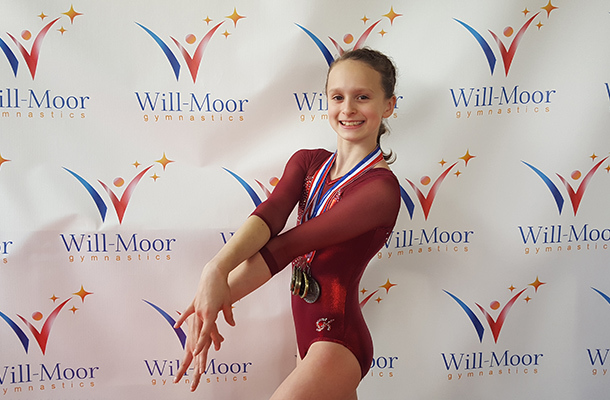 Camryn not only won her age division but had the highest AA in both the Hopes divisions for compulsory competition AND optionals! 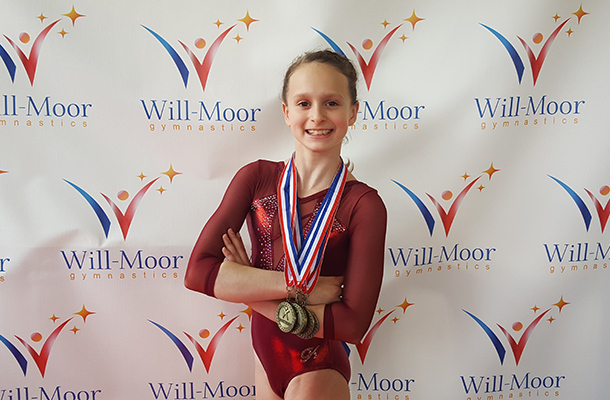 These score surpass the requirements to qualify Camryn to compete at the next step which is Hopes Classic. The Classic will be held July 7, 2018 where she will need to place in the top 18 gymnasts to then compete at Hopes Championships. “The USA Gymnastics “Elite” program is a fast-track, highly intense progression system designed to produce champions… The Hopes program is considered the starting gate for athletes interested in getting their foot in that program! “Hopes” is a modified Pre-Elite program dedicated to gymnasts, ages 10-13.